This is Florida living! 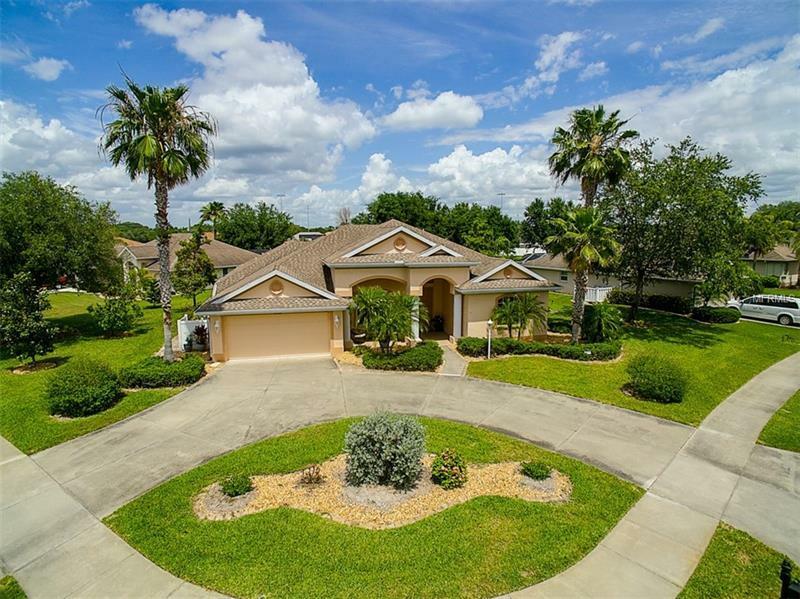 This spacious 4 BR, 3 BA pool home in the gated community of "Charleston Park" has so much to offer. Located on an oversized (over 1/3 acre!) pie-shaped homesite in a park-like setting on a cul-de-sac corner lot, it welcomes you with a circular driveway, generously sized front porch and tropical landscaping. Built by renowned Venice builder Peter Shipps, the home has been customized for casual Florida living with an open floor plan, tile in all bedrooms, a granite topped center island in the kitchen, crown molding and a gorgeously landscaped private setting. This home is ideal for entertaining and offers plenty of space with a Living Room featuring a built-in library and the Family Room off the kitchen for casual gatherings with family and friends. Your 4th bedroom is set up as a home office with a Murphy Bed to accommodate additional guests. The two guest rooms share a remodeled Jack & Jill bathroom featuring a walk-in shower with grab bar. Your Master Bedroom Suite has 2 large walk-in closets, access to the lanai/pool area and the Master Bath offers double vanities, a Roman walk-in shower & soaking tub. You will love the huge lanai with its sparkling & inviting heated saltwater pool (new Pebble Tec finish: 2015) and two separate sitting areas. The entire lanai was redone with beautiful new pavers in 2015 and is pre-wired for an outdoor kitchen. New sod & landscaping: 2018, A/C: 2017, Water heater: 2015. Close to area beaches, restaurants & shopping. Low HOA fees & no CDD! Pet Restrictions: Up to 3 dogs, cats or other household pets may be kept, provided they are not bred or maintained for any commercial purpose. Dogs and cats much be leashed when not on the owner's lot.